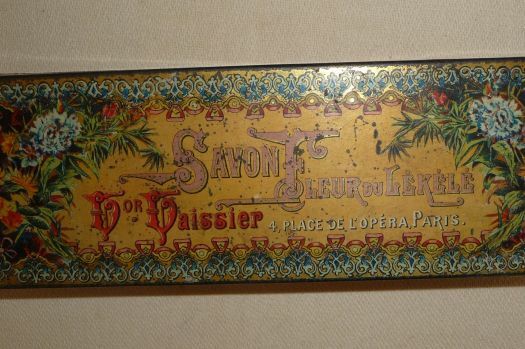 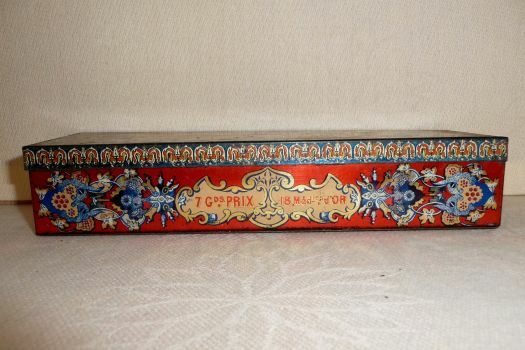 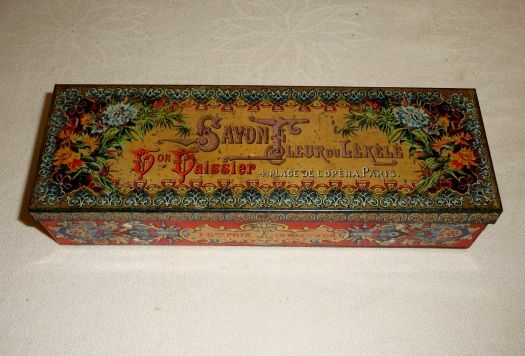 Interesting lithographied box, for soap, Victor Vaissier's manufacture. 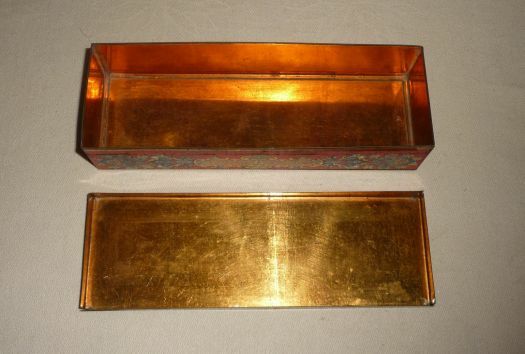 21 cm x 7 cm ; height 4 cm. 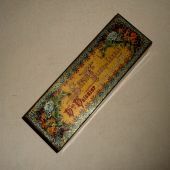 Condiiton is not perfect, there are some oxyxed points but there are no bumps and not scratches.